Nu Boyana Portugal is recruiting Compositors. Are you ready to join a fast-growing team with new exciting projects to come? Compositing artists are responsible for taking disparate elements and combining them to create the final image. 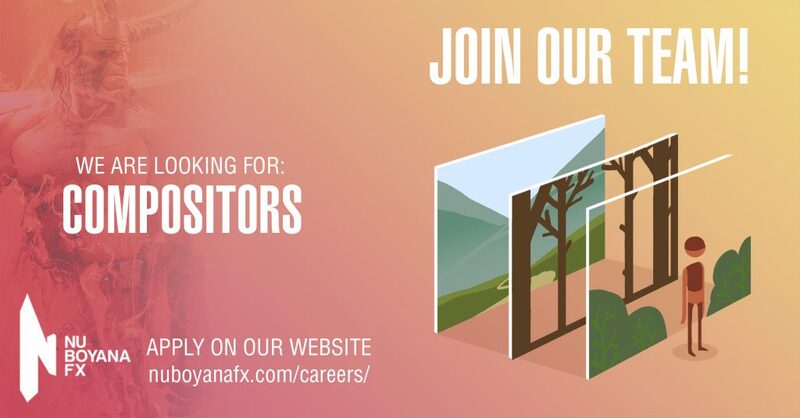 If you have a passion for compositing then we definitely want to hear from you. To be part of the Compositing team integrating multiple elements (live action footage, CG, stock elements etc.) and combining them to create the final image. Work collaboratively with Supervisors, the compositing team and other VFX departments. Experience of Compositing with Nuke for advanced VFX projects. A strong creative eye and a problem-solving attitude. Knowledge of other VFX software such as Maya is an advantage.